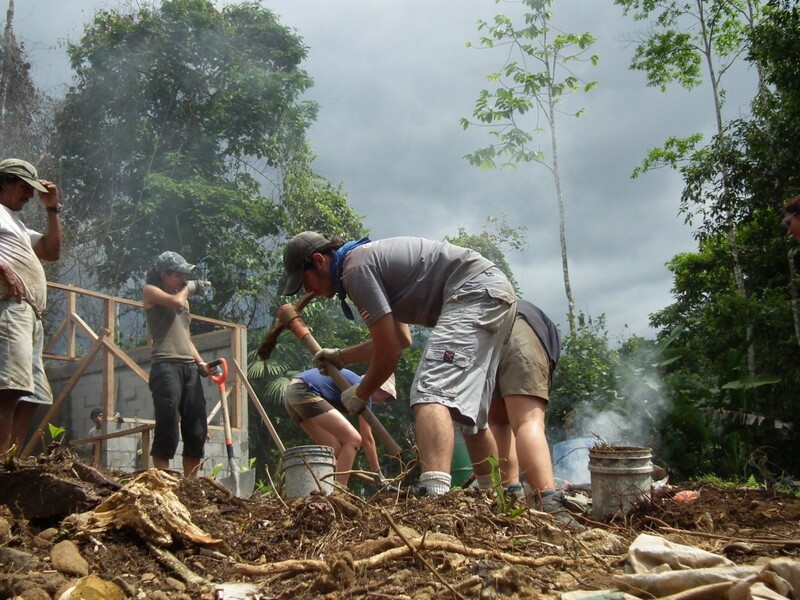 The project the Raleigh team arrived in Pozo Azul to build is a community centre. Currently the only communal building is the school, however this is locked by the government teacher and is not available for the community to use. Building a new community centre was an election pledge of the current president of the development association and they are keen to get this completed before the next elections in August 2011. The association has being persistent in requesting Raleigh’s assistance. We have 17 days to build from teh ground up.. The building is a part brick, part wooden with concrete floor and foundations, a small raised stage and zinc roof, including toilets and wash facilities at the back of the building.